Aquariums, Fish, Equipment and Accessories, Ponds and Water Features plus more! Are you looking to add the tranquillity to your garden that only a water feature can bring, whether that is a pond or a free-standing centrepiece? 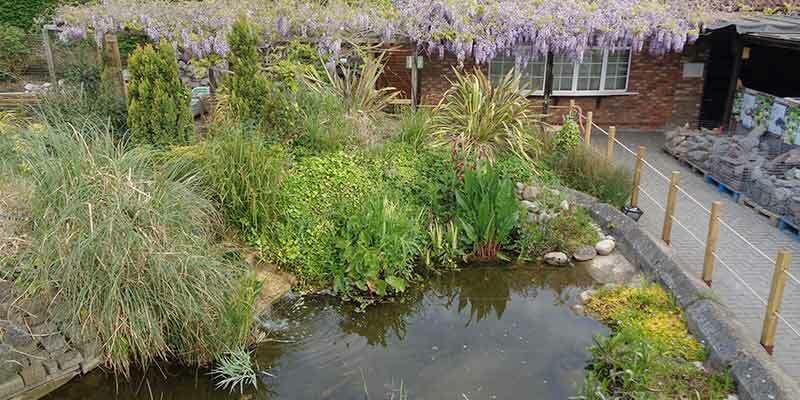 Our on-site aquatics centre has everything you need to create serenity in your garden. Why not bring a water-themed or exotic feature inside? We have a selection of cold water and tropical fish, and everything you need to create a talking point in your home. Our comprehensive reptile section brings a real sense of excitement to the centre. From beautiful Leopard Geckos to iridescent jungle loving spiders, our specialist team are ready to guide you through everything you need to know to really enjoy these incredible creatures.